Whether you're looking for an apartment or to fill a vacancy, Rentals Online is your Apartment Guide for Minnesota. Find out more about listing an apartment and having tenants view your Minnesota rental in our results. Rentals Online is dedicated to building a community of renters, landlords, rental agents, and property managers throughout Minnesota, and the nation, so communication and commerce can be quick, inexpensive and competitive. 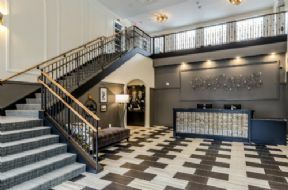 With the Rentals Online Minnesota apartment guide, both seasoned residents and those new to Minnesota, can find an apartment quickly and conveniently. Property owners and managers can now show Minnesota rentals without paying enormous fees. Renting in Minnesota will hopefully give you a lot of extra time to enjoy the many adventures the state has to offer. Kids will enjoy the Tropics Indoor Water Park and Playground in St Paul where they will find the metro area's largest indoor waterslide. At the Reptile and Amphibian Discovery Zoo in Owatonna you will see snakes, turtles, lizards, crocodilians, and amphibians and a 12 foot-long alligator. The Minnesota Zoo in Apple Valley is also popular as is the Headwaters Science Center in Bemidji which features hands-on, interactive exhibits and science programs for children & families. Sports fans will not feel slighted with numerous professional sports teams including the Minnesota Vikings for football, the Minnesota Twins for baseball, the Minnesota Timberwolves basketball team and the National Hockey League's Minnesota Wild. Many students attend school at one of the state's many colleges such as the University of Minnesota, Walden University or Capella University all in Minneapolis. Saint Cloud State University in Saint Cloud is also very popular. Often, students end up renting a home while attending college and for several years afterwards. Minnesota Valley National Wildlife Refuge in Bloomington Refuge offers hiking, wildlife observation, some biking, and public programs. Other things to do in this area include the Minnesota Valley National Wildlife Refuge, Underwater Adventures or a visit to the Mall of America.